The smallest particles on a homogeneous background in a chaotic motion. 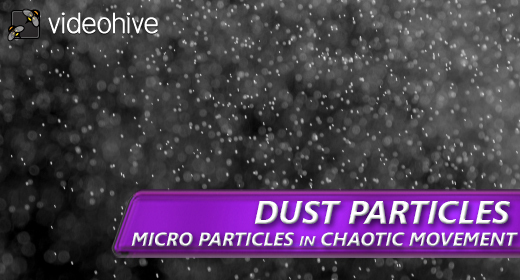 Perfect for simulating snow, blizzard, dust, pollen, hoarfrost and “magic”. It is added to the video using a variety of overlay modes.